DNA based identification and characterization is one of the very important discoveries of modern biological science. The DNA based identification is a very powerful tool and its use in various field of biological sciences has an immense effect to the research and development. One of the field which has got tremendous benefit from this tool is the forensic sciences for its role in the investigation and prosecution of crime. Innovative technologies along with the automation has been proven very useful in crime investigation. DNA based methods can be used in solving the criminal cases and creating the national database. 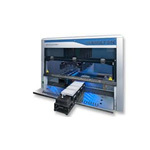 The Next generation sequencing (NGS) technology has added additional advantages for being High throughput and challenging samples can be processed with higher confidence. 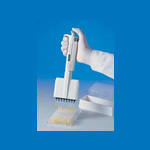 We are offering complete range of product for the all your forensic application from low to high throughput. We offer complete workflow for high-quality, consumables, and assay solutions designed to meet your needs, whether you belong to a smaller lab or a higher-throughput lab for solving crimes. 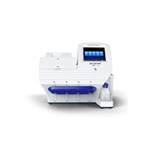 The Automate Express enables you to perform Medium to Low throughput DNA extraction and the subsequent steps of STR analysis using different loci kits ranging from 9 to 24 loci is used to genotypically characterize an individual. Applied Biosystems has more than 30 years of expertise in the field of Sequencing and Fragment analysis and is world leader in capillary electrophoresis. 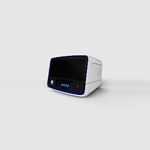 The 3500 series come in two formats 8 capillaries and 24 capillaries and designed with specific features to support the human identification application. 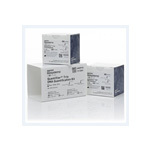 The complete product combines the instrument with Applied Biosystems® reagents, consumables and software, as well as IGB leading onsite support, to provide an integrated HID system solution that significantly improves ease-of-use and application efficiencies. Automation has become an indispensable tool in forensic laboratories challenged with ever increasing workloads and the pressure to reduce turnaround times. Forensic DNA analysis is a multi-step process involving extraction of DNA, quantification of human DNA, amplification using multiplex STR systems, separation of amplified products, and data analysis. 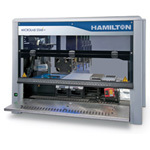 We describe here an automated forensic sample processing station, the AutoLys and Startlet ID System, based on the Hamilton robotic platform, which automates DNA extraction, setup of qPCR to quantify human DNA, DNA dilution to normalize input amount, and setup of PCR reactions for amplification of STR multiplexes. Sexual assaults and other violent assault cases represent a significant percentage of cases examined by crime laboratories (≥50%). DNA analysis and interpretation can be challenging, given the complex nature of sexual assault evidence. Samples often consist of mixtures of body fluids from the victim and suspect, and sometimes contain small quantities of DNA, highly degraded DNA, or inhibitors. The DEPArray™ system resolves this uncertainty by enabling forensic laboratory scientists to separate blood cells, from epithelial cells, from sperm cells, with 100% precision. Such separation, prior to genetic analysis, allows distinct profiling of multiple individual contributors by routine DNA identification methods. The Applied Biosystems 3500 Series genetic analyzers are widely used for forensic DNA analysis. 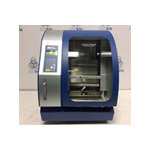 They offer superior data quality, variable throughput support, and reagent tracking. A national DNA database is a government database of DNA profiles which can be used by law enforcement agencies to identify suspects of crimes. DNA technology has proved to be a valuable investigative tool which has helped to exonerate the innocent and to bring those responsible for serious crimes to justice. We offer a complete fully automated workflow with Easy Punch and Starlet ID platform from Hamilton to automate the full process. Direct amplification can dramatically increase your lab’s throughput and simultaneously decrease the complexity of your STR analysis processes. This reduces costs and minimizes the potential for errors. 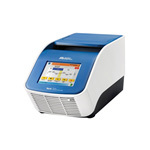 The Identifiler Direct or Globalfiler Express kits optimized protocols without the need for sample purification, for blood or saliva on Copan Cards. 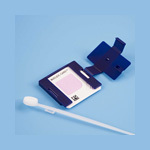 We offer a very easy and convenient sample collection card from Copan to collect either blood or buccal sample for DNA extraction and the downstream analysis. 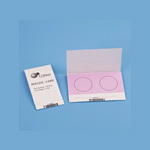 The card is chemically treated to perform the lysis of the cell and protein denaturation. The nucleic acid will be immobilize on the card and preserved for long-term storage at room temperature. NUCLEIC-CARD™ COLOR changes color upon sample application to facilitate processing of buccal samples. 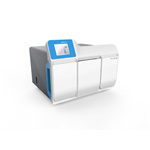 NUCLEIC-CARD™ collection devices are manufactured by Copan, a market leader in the area of sample collection tools, and distributed globally by Thermo Fisher Scientific. Mitochondrial DNA is present in rootless shed hairs, hair fragments, skeletal remains, and other samples too minimal and/or degraded for STR testing. mtDNA testing is useful tool in forensic for investigating in crime scene, missing persons, genealogical investigation, adoption maternity, historical cases, cold cases, ancient DNA, and post-conviction evaluation. We offer complete 16K mtDNA sequence analysis with multiplexing of the sample at an affordable price with Ion Torrent technology with Precision ID mtDNA Whole Genome Panel. 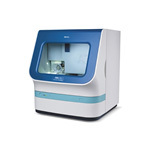 A complete workflow from Library preparation to sequence analysis using ion S5 and Ion Chef. The Panel contains set of primers to amplify whole mtDNA using the primer pool. 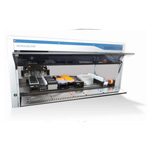 The DL8 kit for automated library preparation gives an advantage of full automation without manual intervention for 8 samples. The Ion Chef provides the user for the complete automated of templated bead preparation. The templated beads will be performed by emulsion PCR and after the template preparation the chips will be ready to be processed for sequencing using PGM or Ion S5 sequencers. 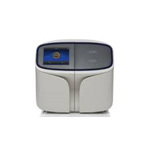 S5 and S5XL- Powered by the first post light Ion torrent technology, the Ion S5 and S5XL system provides the user the minimum hands on time to load the sequences. Combined with IC From sample to results, there are no centrifugation steps, and less pipetting steps and hands on time of the alternative NGS workflow. 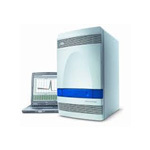 Ion reporter Server- The Ion Reporter Server System is a combined hardware and software solution for analyzing human and bacterial sequencing data. 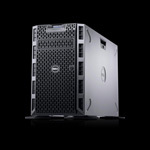 It consists of a locally deployed computer with a suite of informatics tools that streamlines and simplifies analysis, annotation, and archiving of semiconductor sequencing data from any Ion Torrent sequencer. The Applied Biosystems™ Precision ID Ancestry Panel includes 165 autosomal markers (SNPs) that can provide biogeographic ancestry information to guide your investigative process. Fifty-five of these markers were selected based on a publication by Dr. Kenneth Kidd from Yale University , and 123 markers were selected based on a publication by Dr. Michael Seldin from the University of California Davis . 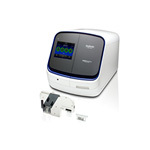 With small amplicon sizes (<130 bp), this panel is also optimized for degraded DNA samples. Using a small sample input of as little as 1 ng of DNA, you can go from sample extraction to genotypes in less than a two days using the Precision ID NGS System and HID SNP Genotyper plug-in for analysis. References:1. Kidd et. al. Poster: Better SNPs for Better Forensics: Ancestry, Phenotype, and Family Identification. Shown at National Institute of Justice annual meeting, Arlington VA, June 2012. 2. Kosoy R, Nassir R, Tian C, et al. (2009) Ancestry informative marker sets for determining continental origin and admixture proportions in common populations in America. Hum Mutat 30(1) 69–78. The Applied Biosystems™ Precision ID Identity Panel is one of the first next-generation sequencing (NGS) solutions for human identification that uniquely identifies pristine or degraded samples. High discrimination power is achieved by using 34 upper Y-Clade SNPs and 90 autosomal SNPs that have high heterozygosity and low fixation index (Fst) as described in publications by Dr. Kenneth Kidd from Yale University and the SNPForID Consortium.